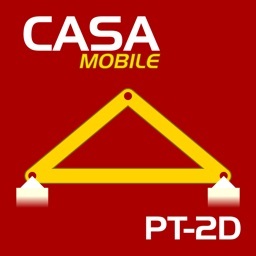 CASA Plane Grid 2D by Intesym Ltd. 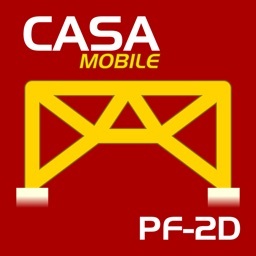 Structural / Civil Engineering App for static elastic analysis of 2D plane-grids. 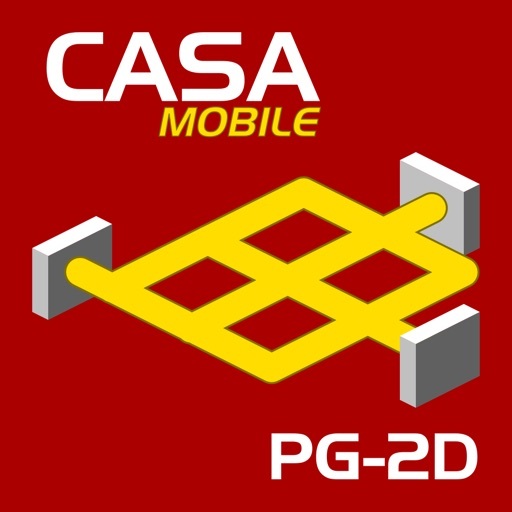 With CASA PG-2D an engineer can create 2D structural models of plane-grids and obtain both the numerical results and graphical representation of the deflections and forces. 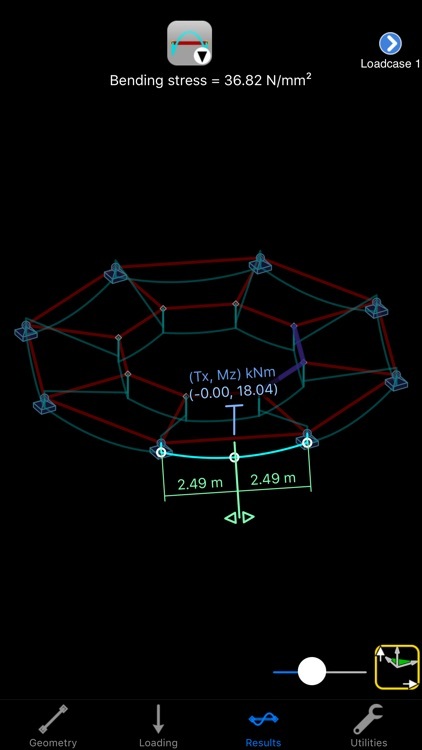 There is an emphasis on quick and precise modelling with graphical interaction. Results are graphically interactive with a sliding readout of numerical results at any point along a member. 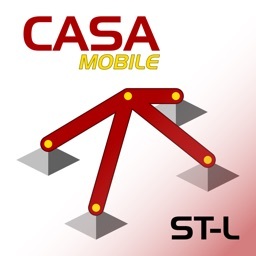 More information about this App can be found in its integrated help and on our website. The App also contains "Replay Demonstrations" which describe and enact its use. - British, European, American, Canadian, Australian, South African, Japanese, Russian. - See our website for the range of shapes. - Open: I/H, channel, zed, angle, tee. - Calculates: Area, Inertia, Torsional constant, Elastic moduli, mass. - Steel, Aluminium, Concrete, Timber, Glass. - User materials can be added. * Member ends can be rigid or pinned. * Loads applied as point, couple, trapezoid. - Reactions, deflections, bending moments, shear forces, bending stress. - Results given all along members. 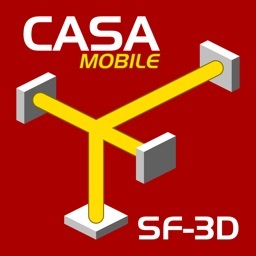 * Universal App - for iPhone, iPod touch, and iPad. * Metric & imperial units. 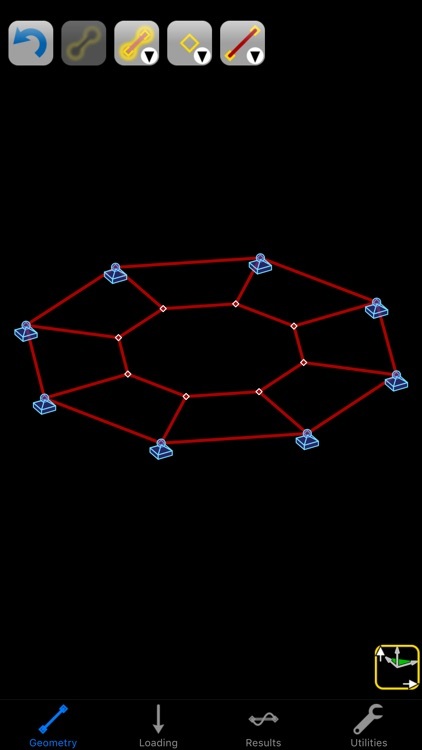 - Geometry, Loading, Results: for interacting with the model. - Utilities: Supplementary functions (see below). - Tap to select; tap to edit. - Move and copy geometry. - Slide nodes along members. - Replicate loading across members. - Rotate, pan, zoom the view with simple gestures. 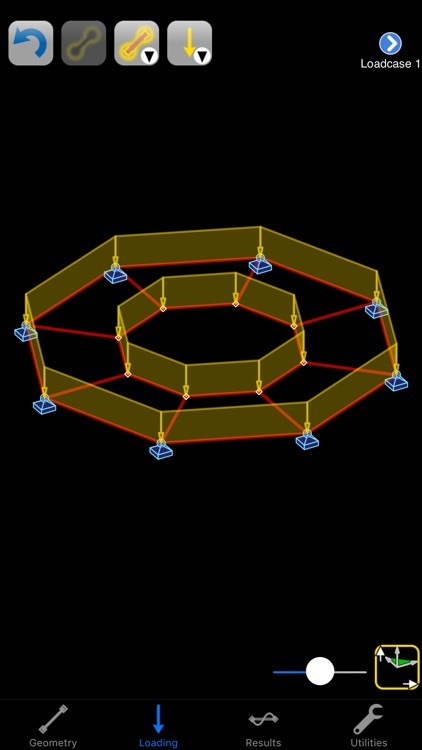 - Drag nodes for positions. - Drag loads for positions and magnitudes. - Drag marker along member to read off results values. - Tap on Points of Interest for important results. 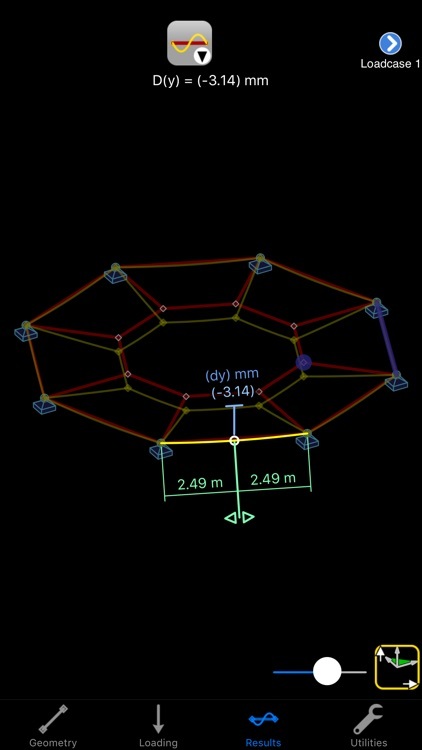 - Select nodes to measure distances, angles, and areas between them. - Double-tap on a datum to enter its numerical value. - Includes a convenient built-in calculator. - Pick from country, shape, and size. - View diagram and properties. 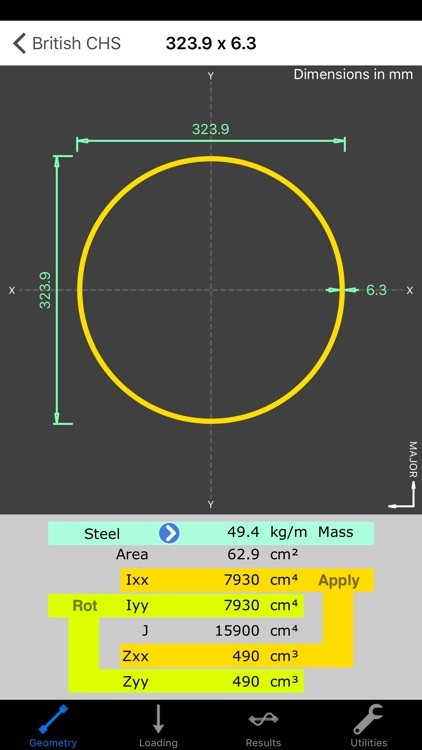 - For custom shapes, double-tap on dimensions to edit. - Axes can be rotated by 90 degrees. - Export PDF by e-mail. - Choice of unit system (UK/EU Metric, US Imperial). 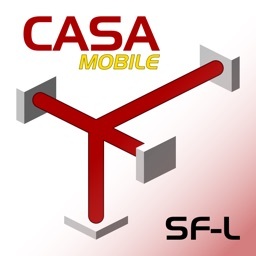 - Load, save, and export models.